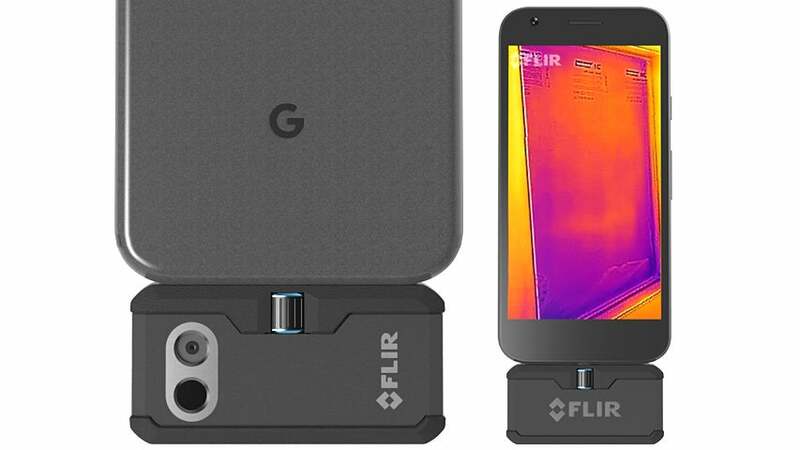 Typically only found in the toolkits of law enforcement and the military, the FLIR ONE smartphone camera gave thermal vision to any consumer with several hundred bucks. But yesterday FLIR revealed a professional version for those who want to use the thermal camera for more than just running around pretending to be a Schwarzenegger-hunting Predator. 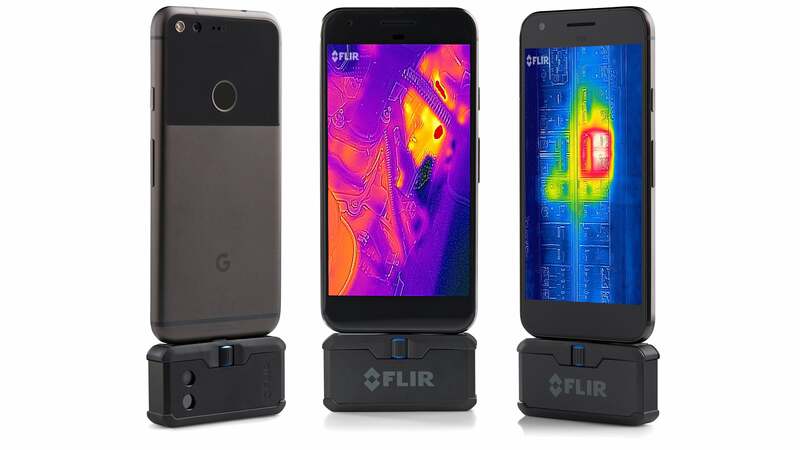 The new FLIR ONE Pro works just like the second-generation FLIR ONE did by connecting to the bottom of a smartphone. 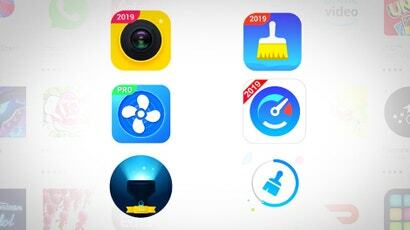 But instead of supporting the Apple Lightning connector and microUSB, the new FLIR ONE Pro is Lightning and USB-C friendly. So you can use it with your Google Pixel phone, the LG G5 and other Android devices that have jumped on the USB-C bandwagon. The thermal camera accessory also now features a small wheel which can be used to adjust the length of the Lightning or USB-C connector, allowing the accessory to properly attach to smartphones without having to remove them from a protective case, which are often used on construction sites or other professional settings. The FLIR ONE Pro also comes with a steeper $US400 ($554) price tag (Australian pricing and availability have yet to be announced). But in addition to the adjustable connector, it also incorporates an improved thermal sensor with a resolution of 160x120 pixels, doubling the capabilities of the original FLIR ONE, and advanced software functionality including the ability to make multiple temperature readings at the same time. Most importantly, because it's specifically designed for professional use, you might have an easier time justifying the cost of the FLIR ONE Pro since you can tell yourself you need one for work.